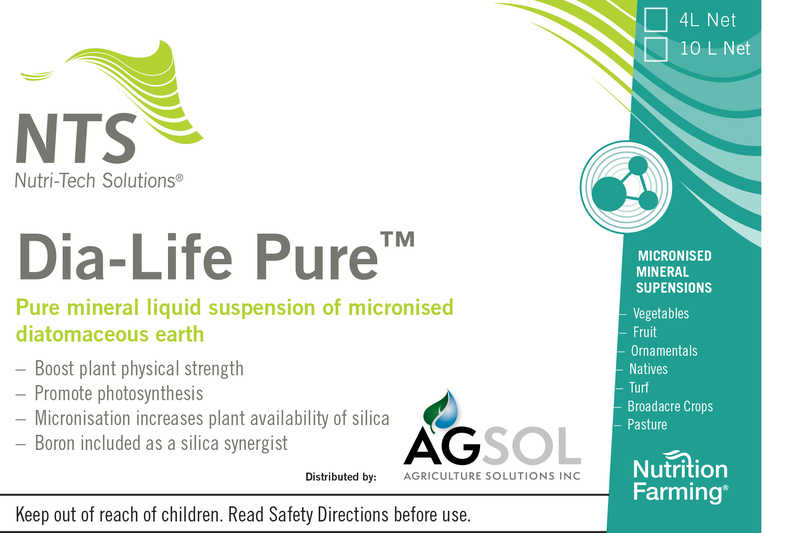 A pure source of micronutrient boron for enhanced reproduction. 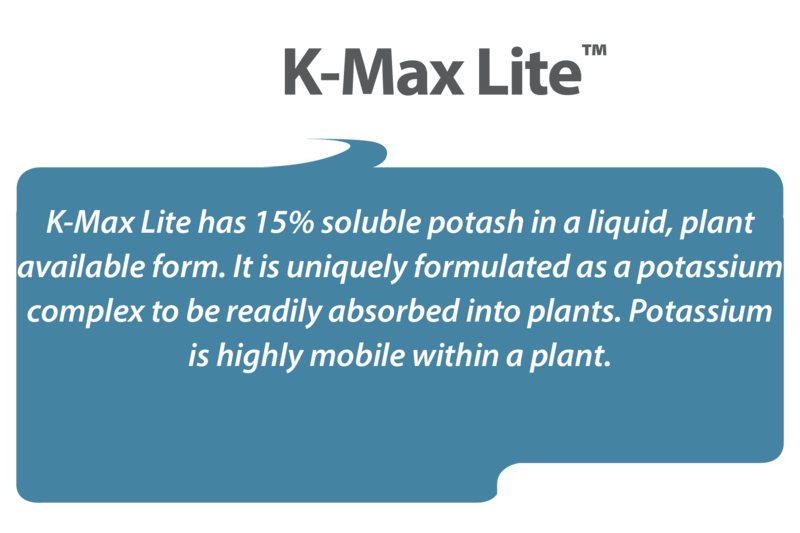 A High analysis pH-buffered liquid potassium complexed with citric acid. 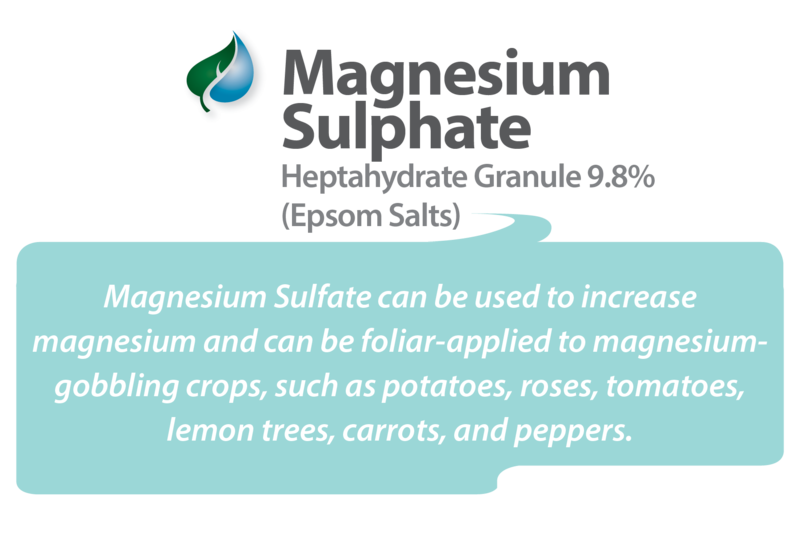 A highly soluble and rich source of magnesium and sulfur. 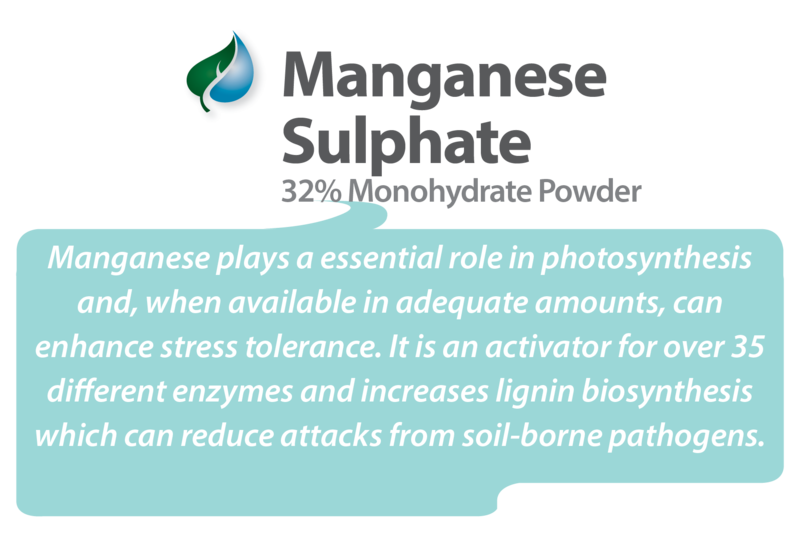 A high-analysis source of the micronutrient manganese (Mn) for improved resistance and enzyme activation. 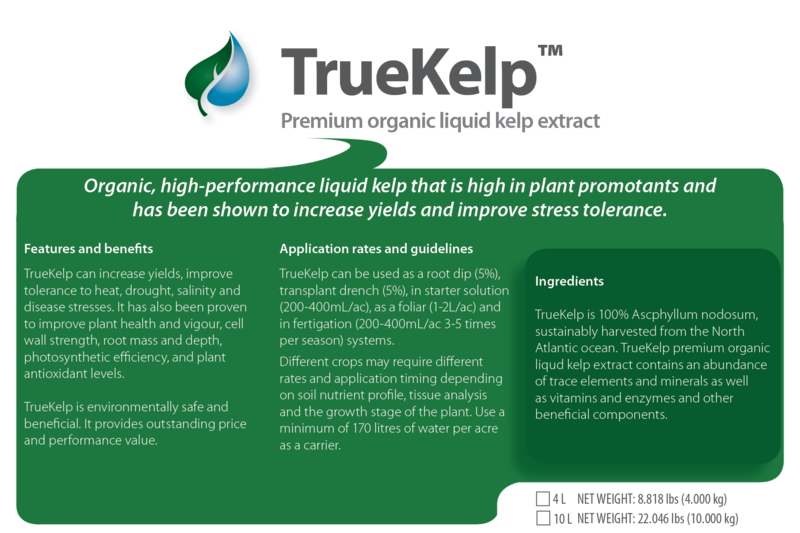 TrueKelp™ Liquid is a high-performance, environmentally sustainable kelp extract proven to increase yields and improve stress tolerance. 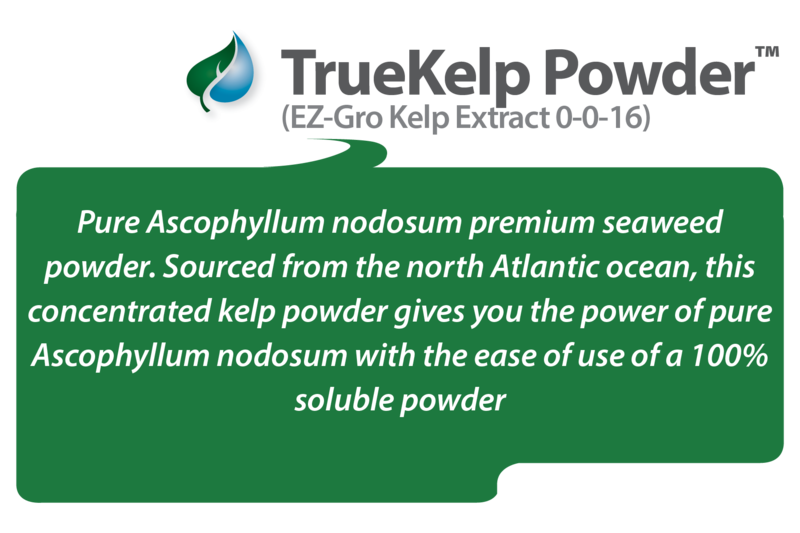 TrueKelp™ (EZ-Gro Kelp Extract 0-0-16) is a pure ascophyllum nodosum premium seaweed powder. 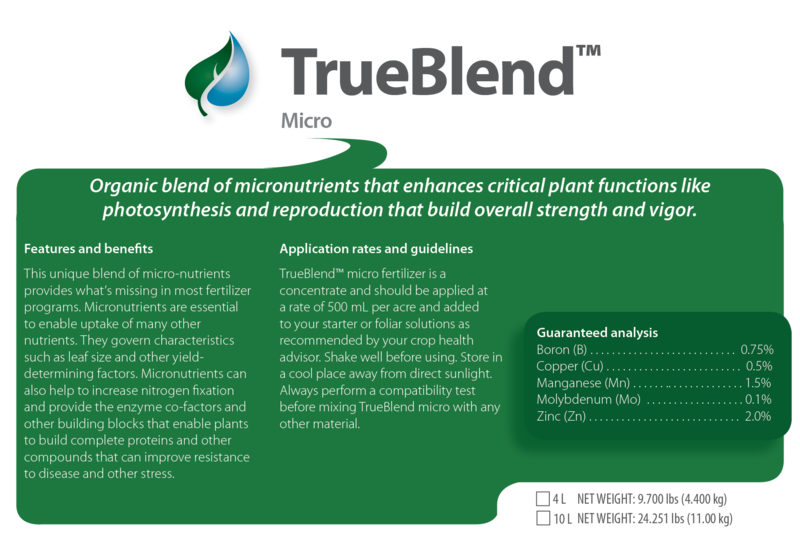 TrueBlend Micro is a synergistic, balanced blend of six, key micro-nutrients that enhance sugar translocation, root strength and overall plant immunity. 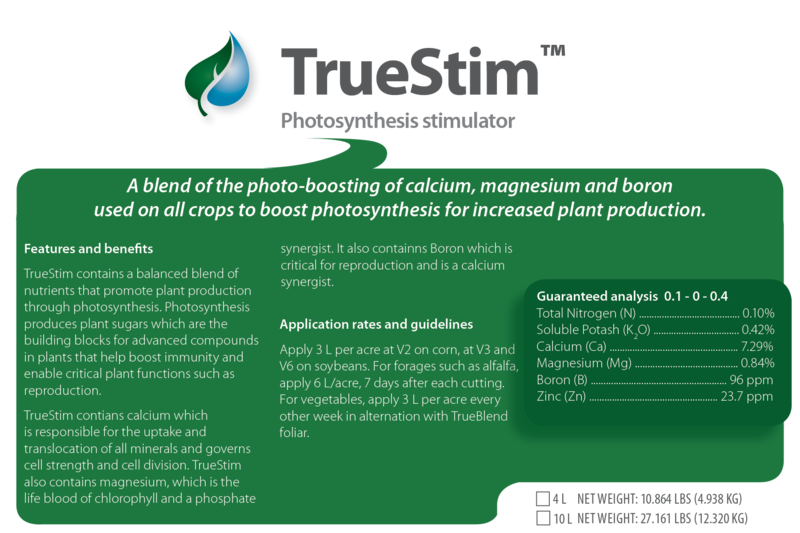 Triple Ten™ (10-10-10) combines a hot-mix NPK blend, chelated trace elements and natural growth promotants. 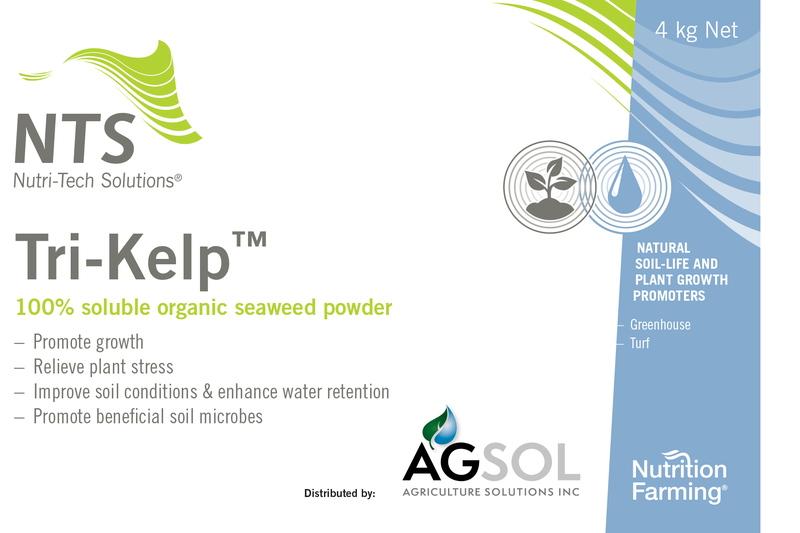 These natural growth promotants include fulvic acid, seaweed fertilizer and vitamins. 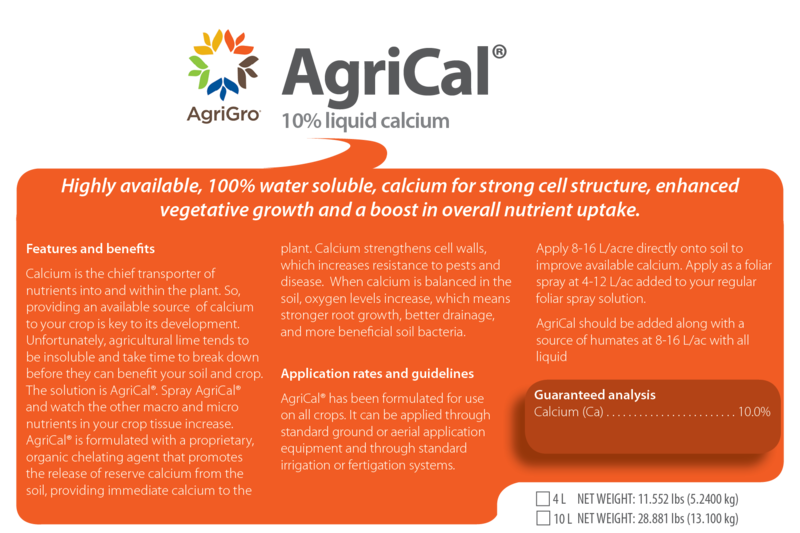 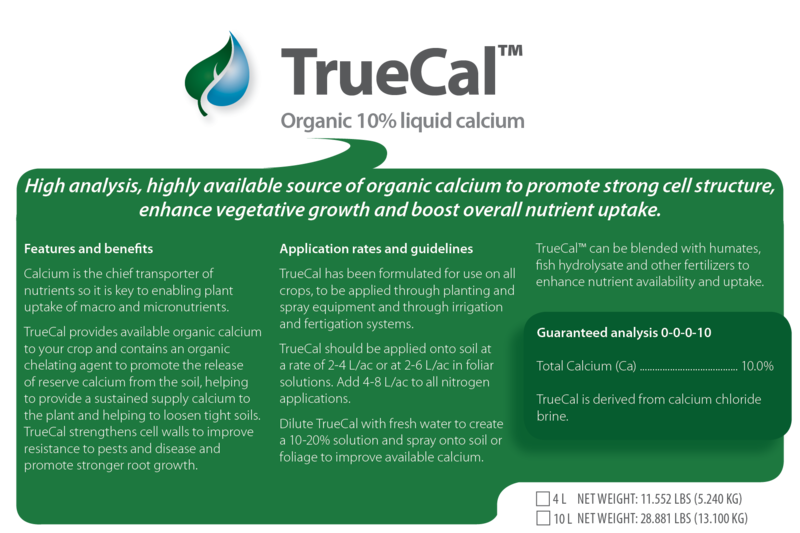 TrueCal™ organic is Agriculture Solutions' own high-analysis, highly available 10% liquid calcium fertilizer that's packs a powerhouse of calcium in a simple, easy-to use format suitable for all growers – conventional and organic, alike. TrueBlend™ Foliar - RG is a broad-spectrum reproductive organic foliar and is a perfectly formulated organic blend of nutrients, micro-nutrients and bio-stimulants. 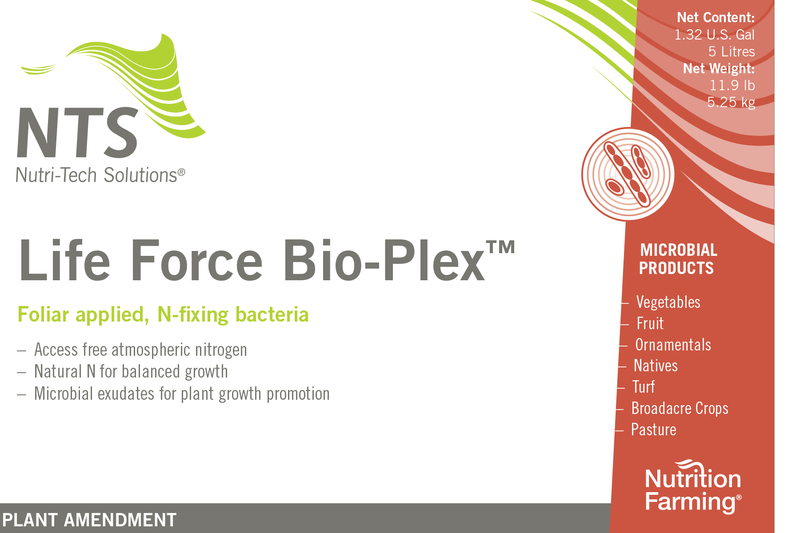 Life Force Bio-Plex™ enables biologically-induced plant growth promotion achieved through the enhancement of leaf life. 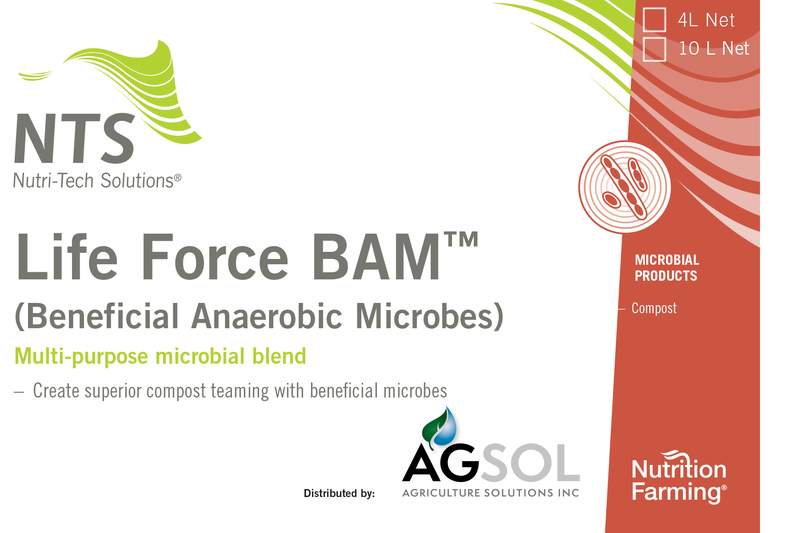 Life Force BAM is a multipurpose blend of anaerobic species for soil, compost and plant health. 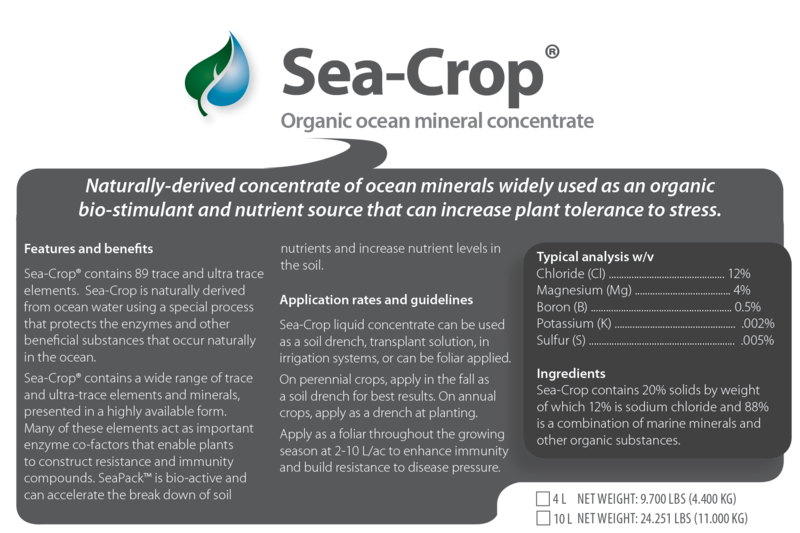 Sea-Crop® is a naturally-derived concentrate of ocean minerals containing very low levels of sodium chloride. 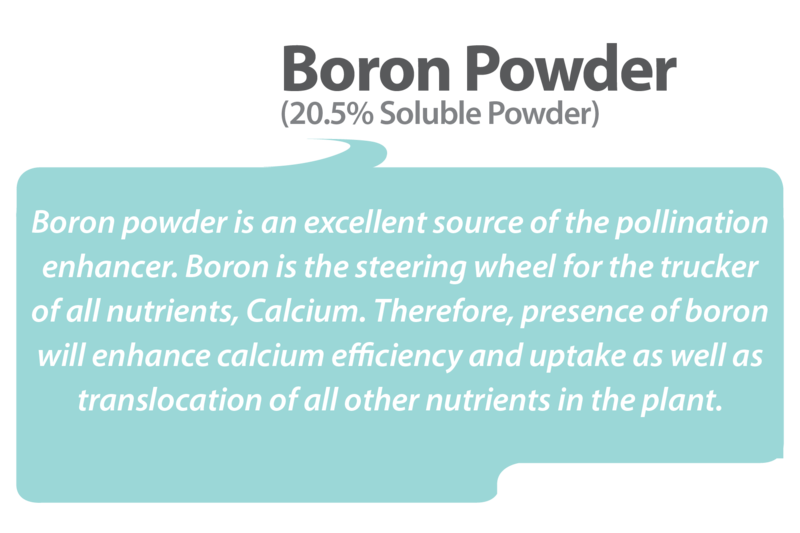 It is widely used to increase tolerance to stress and is a bio-stimulant. Our Liquid Fish is a 3-3-.3 balanced organic fertilizer and bio-stimulant that contains over 80 trace minerals and elements.